The provincial government has stepped up its monitoring of the cacao trees in southern Palawan to prevent high mortality rate due the onset of the El Niño phenomenon. Dr. Myrna Lacanilao, program manager of the Livelihood Project Management Unit of the province, said Friday they have received reports about the warm phase of the El Niño–Southern Oscillation (ENSO) starting to affect cacao trees in the southern part of the province, but they are hopeful they would be minimal and that the high-value crop will survive. “Binabantayan talaga natin ang cacao ngayon, sana naman hindi ganoon kalaki ang maging epekto ng drought. Maganda pa naman ang production, tuloy-tuloy. Hopefully, wala namang mamatay,” she said. Lacanilao added the cacao already started to bore fruits after only three years of growth. 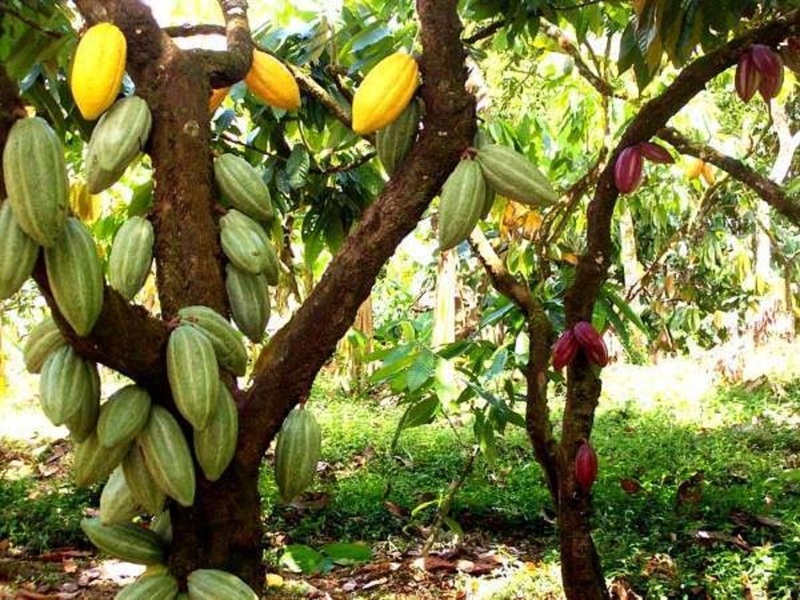 Records showed that more than 1,000 hectares in the towns of Brooke’s Point, Bataraza, Sofronio Espaῇola, Rizal, Quezon, Aborlan, and Narra, have already been planted with 447,660 cacao trees since 2017. Last year, they distributed around 1,632,703 seedlings for the first quarter of the month compared to the same period this year. She said they did not disperse cacao seeds this year because of the El Niño. “Ayaw ko ng maulit ‘yong nangyari noong 2015 and 2016 na madami ang mortality kaya hindi muna tayo namigay ng seedlings ngayon. Sobrang sensitive sila kapag maliliit pa, kaya hindi muna,” Lacanilao said. Data from the Office of the Provincial Agriculture (OPA) recorded that there are 1,200 farmers in Palawan located in the towns of Aborlan, Narra, Brooke’s Point, Sofronio Española, Quezon, San Vicente, Taytay, and Bataraza who are affected by the effects of the El Niño phenomenon. Previous records from their office showed that in the year 2015 and 2016, a mortality rate of 51 percent were recorded in Barangays Ransang, Candawaga, Panalingaan, and Culasian in Rizal town and Culandanum, Malihud, Tarusana, and Igang-igang in Bataraza municipality. Lacanilao said Brooke’s Point is one of the towns that produces good quality cacao. One kilo of cacao sells for around P110. “Maganda ang production ng cacao ngayon. ‘Wag lang dumating ang dry spell kasi ‘yon talaga napakahirap pero ngayon ‘di ba napakainit na, hopefully sana hindi ganon karami o wala sana tayong mortality,” she said.